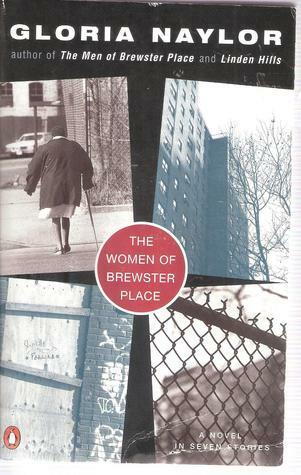 The Women of Brewster Place: A Novel in Seven Stories, Gloria Naylor, Penguin, 1983 (c1980), ISBN 0-14-006690-X, $11.95, 192pp. A riveting first novel that dares to write about the stuff of melodrama, and yet never slips into sentimentality. It accomplishes this because the stories are all too real. The tragedy of these women’s lives we see even today in the news and on the streets around us. These are the kinds of stories that make up a revolution, except the revolution has passed. The revolution had a dream at its center: a world where all had the same chances. But that dream has been on hold–deferred, as the Langston Hughes poem that serves as an epigraph to this “novel” puts it. In fact, Naylor is responding to that idea–where is the dream now? I had to put novel in quotes above because this really is a montage (echoes of the Hughes poem once again). In science fiction, they call these novels that are made by linking short stories together a “fix-up,” but that really does not fit this well, possibly because Naylor planned it this way, rather than cobbling it together as an afterthought. 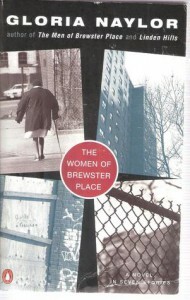 Predating Amistaud Maupin’s Tales of the City, a similar collection of tales about the occupants of one building, its depiction of the various women who find themselves in the last place that will take them, a slum tenement building on a dead end street, is gripping and emotionally moving. These women are not perfect– Naylor’s heroes all have tragic flaws–but the general feeling you get is not that they are necessarily their own downfall, but as much a victim of the society that they find themselves a part of. Even in the worst case, Cora Lee, there’s something there to pity, and possibly, gain new understanding.